The Michigan Department of Natural Resources Thursday announced the Anna Scripps Whitcomb Conservatory in Detroit’s Belle Isle Park will undergo a $1.9-million renovation project starting in October. 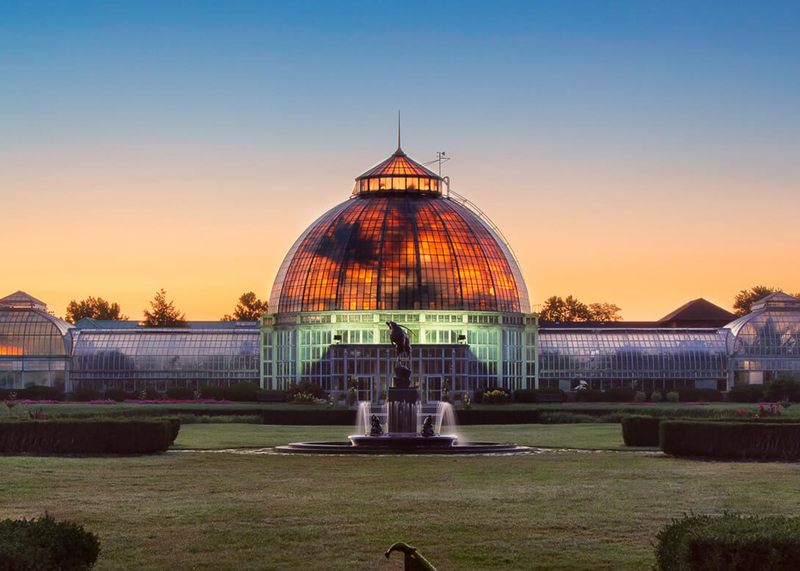 Also known as the Belle Isle Conservatory, it was built in 1904 and is one of the most iconic structures on Belle Isle. As the oldest continually-running conservatory in the country, the 13-acre grounds include a greenhouse, a botanical garden that houses exotic and rare plants from around the world, including hundreds of orchids, along with distinct areas for the display of cactus, fernery, palms, and tropical plants. The Michigan DNR completed an engineering study in 2017, and a structural assessment concluded that portions of the 20 steel trusses supporting the conservatory dome, also known as the Palm House, need replacement within the next year. The first 21 feet of the trusses in the dome are expected to be replaced this winter. Construction of this lower portion will begin Oct. 1 and is expected to be completed in April 2019. The dome will be closed during this time, but the north and south wings and the show room will remain open to visitors from 10 a.m.-5 p.m. Saturdays and Sundays. Visitors will be able to access the building through the lily pond garden entrance. Reservations for private events will not be available until May 2019. The project is funded by a $1-million grant from the Ralph C. Wilson Jr. Foundation in Detroit to match $900,000 of DNR parks and recreation capital infrastructure funds. The work will be completed by Ideal Contracting, part of the Ideal Group in southwest Detroit. Each of the trusses will have a barrier installed around it to protect the plants during construction, says Treadwell. Conservatory staff has pruned back the smaller plants around the exterior of the dome to protect them while scaffolding is installed. They will be allowed to grow back once construction is complete. Ideal Contracting has installed isolation valves for the conservatory’s radiators, so only the radiators on the trusses undergoing replacement will be turned off. This will allow the conservatory to remain warm enough for the plants during construction. The replacement of the interior steel trusses and will not require openings in the dome expect to provide ventilation for the work. The renovation is the first phase of a comprehensive revitalization for both the conservatory and the Belle Isle Aquarium by the DNR and Belle Isle Conservancy. About $5 million in additional funds is being sought for repairs to the upper portion of the dome. The grounds, a popular setting for events, includes a lily pond and the Levi L. Barbour Fountain designed by noted sculptor Marshall Fredericks. Belle Isle Park attracts more than 4 million visitors per year, including thousands of people who visit the conservatory.